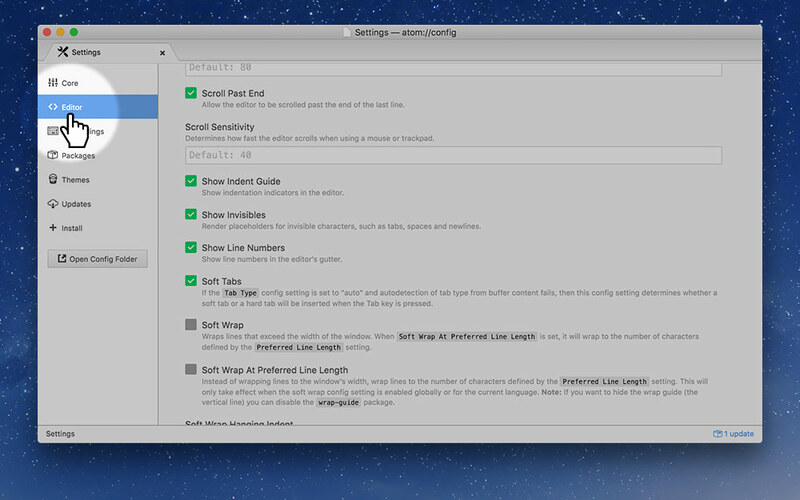 Set up Atom, GitHub’s code editor, to fill out it’s features and simplify repetitive tasks. Atom is a code editor created by GitHub—it’s got lots of great features, the community is really big—and the setup is quick for beginners. You’ll probably also want to keep Atom it your dock—since you’ll be using it every day. 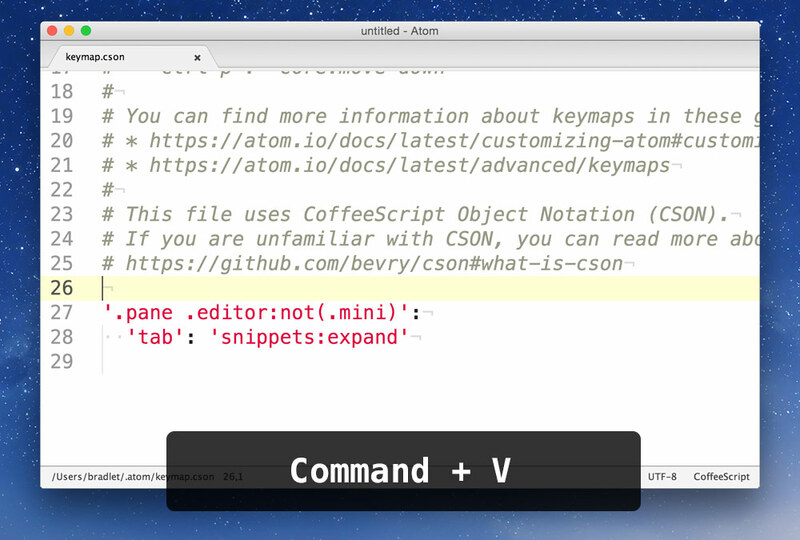 Atom isn’t the only code editor out there—there are lots! Another really popular option is Sublime Text. Atom will work immediately after downloading it—but if you want to get the most out of it, some customization will be needed. These settings will be important when we start using Markbot later—it will check your code for some of these things. Adding a few packages (aka plugins) to Atom will give you a bunch more convenient features. Inside preferences to to the “Packages” tab to see all the ones already installed. Go to the “Install” tab if you want to add new packages to your editor. 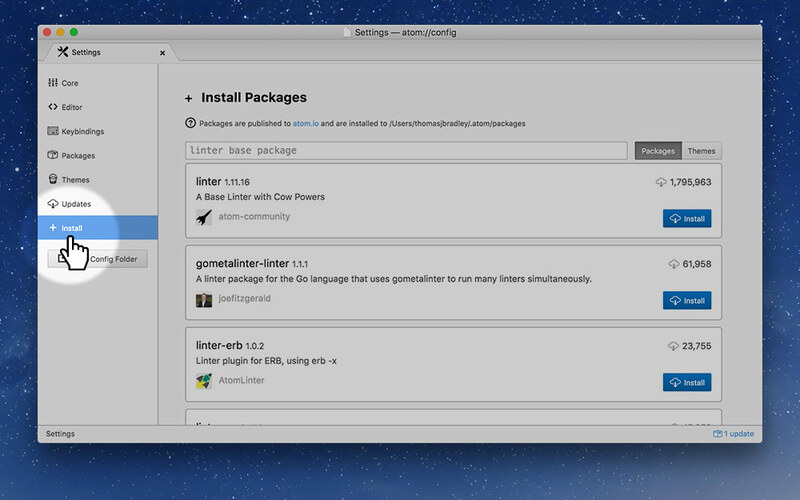 On the install screen you can search for packages and install them into Atom. The names must match exactly! 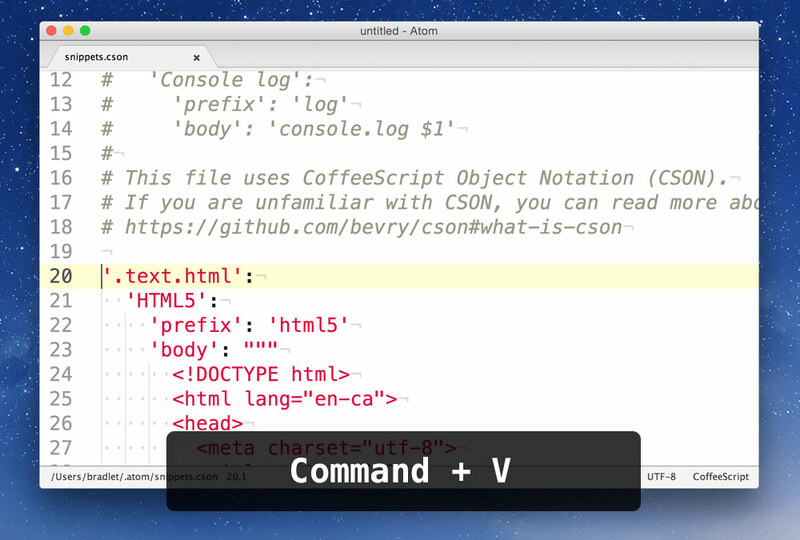 Snippets are little samples of code you can get Atom to automatically insert into your document. You type a keyword then hit Tab and it will insert a bunch of code automatically. This will open up a new code file. Paste everything you’ve copied from the GitHub into the bottom of this file. And save. Check out the Snippets cheat sheet. We need to make sure some of the packages don’t take over the tab key, so we need to fix our keymap. Copy the above couple of lines of code and paste them at the bottom of your keymap file. That’s it—Atom is ready to use!